The NBA tasked its teams with finding a way to honor their fans with uniforms centering on the feel of the cities where the teams play. The “City Edition” uniforms will only be around for a handful of games this season, but they will create another opportunity to sell more merchandise. One team, the Utah Jazz, took the concept one step further by redesigning the actual basketball court using the same City Edition themes. 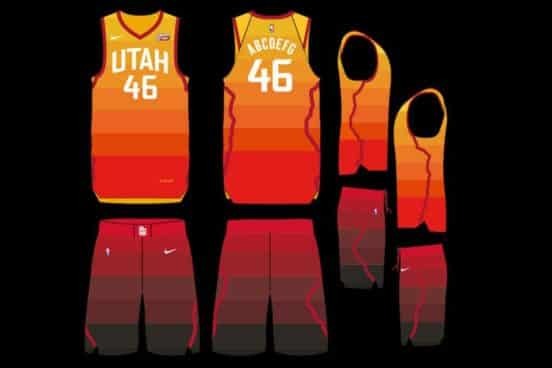 NIke was tasked with coming up with the City Edition concept for Utah, which plays in Salt Lake City. 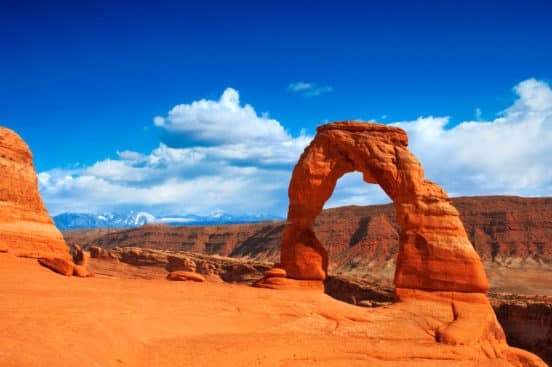 The team suggested building motifs based on the red rocks of Southern Utah, via the many national parks like Cedar Breaks or Zion National Park. Nike representatives traveled to Utah to get inspired by the colors and textures of the area. The result was a uniform that starts out sunset gold and then fades to deep, rich reds. Although fans were mixed on the uniforms, they were more supportive of the court design. 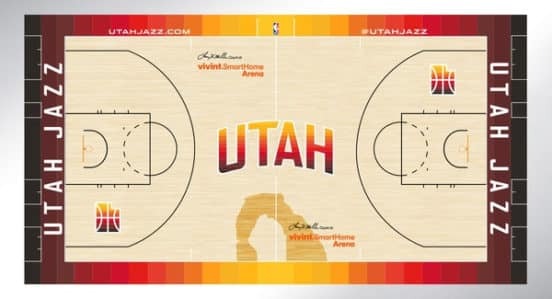 The Jazz are the only team which decided to redesign their court to go along with the City Edition theme. Nike first looked at their original uniform design, which incorporated gradients featuring colors from Bryce Canyon, Capitol Reef, Arches and Canyonlands. The famous arches were put directly on the basketball court. Delicate Arch is the centerpiece, standing just below center court. According to Jazz officials, the team wanted to feature the Arch as the symbol of Utah. The early reviews have already convinced other teams to add specially designed courts for the City Edition in 2019. Fifteen teams have announced their plans to follow suit, citing the Jazz’s new court as something they wanted to emulate. The new court will be used several times in February and March. The last game for the court will be the APril 3 game against the Los Angeles Lakers. Although some fans might like the court to return next year, the Jazz say that the team will do something totally different for the 2018-2019 seasons. The Jazz will highlight a different part of the state next time around. The Utah Jazz originally came to Utah in 1979, after starting as the New Orleans Jazz. Despite there being no association between jazz music and the team’s new home in Utah, the team chose to stick with the nickname. The old uniforms said the words “Jazz” across the top of the jersey, but for the first time ever, the jersey says UTAH across the chest.